Jeffrey Brian Davis was born on October 6, 1973, in Los Angeles, California. At age 4, Jeff performed as Linus in "You're A Good Man, Charlie Brown" at the Groundlings Theatre in Hollywood. He made an excellent first impression, even when on opening night he threw up on his director. After that, Jeff starred in many commercials. Says Jeff, "I was always a freak. My mom put me in acting probably just to put my energy in some positive channel. If I was going to be that weird around the house, she was going to put me to work." When Jeff was 11, he was cast as Louis in the Broadway production of The King and I, alongside Yul Brynner. On opening night, Yul Brynner threw up on him. Poor Jeff! Payback, I say. A national tour followed, and after 750 performances, Jeff returned home to L. A., California. In 1986, when Jeff was 12, he starred as Chris Gunn in the Good Life T.V. Network production of Highway to Heaven. After that, Jeff returned home again to finish school. After he finished school, Jeff turned on to improvised comedy. He joined up with many improv groups, sharpening his mind and gaining him fame for his awesome singing voice. Pretty soon, Jeff had joined the improv band the Impromptones, a group that entirely improvised their lyrics and music while performing, based on suggestions from the audience. The Impromptones even have a CD out, entitled Steamy Monday, which is also the title of the first track. Of course, all the songs on that CD are completely improvised off of suggestions from the audience. I'd say Jeff was in the Impromptones from about 1995 to 1996. The group split up to pursue other things, and Jeff starred on a late-night comedy show called Kwik Witz, along with Wayne Brady, in 1996. In about 1997, Jeff created another improv band, called the Newtonics. The Newtonics performed to improvisation-appreciative sold-out crowds across America, always improvising the lyrics and music based on suggestions from the audience. Jeff and the Newtonics performed at the Chicago Improv Festival 1998. In 1999, the Newtonics sang in the telefilm Tuesdays with Morrie, and in 2000 the Newtonics performed at yet another Chicago Improv Festival. In 2001, Drew Carey took a chance on Jeff Davis, Chip Esten, and Greg Proops by putting them in the Drew Carey Show: Drew Live III. Back in 1998, Jeff began starring as a guest contestant on the best improvisation show on the planet, Whose Line is it Anyway?, hosted by Drew Carey. Whose Line is a show where - and if you're a Whoser like me this line will be familiar to you - where everything is made up and the points don't matter. Everything is made up right off the top of their heads. If you've ever seen an episode before, it looks like everything was rehearsed beforehand, but the only thing rigged is the order of the games. And games brings us back around to Jeff Davis. In the game Weird Newscasters, where the contestants improvise a news show, Jeff is famous for his dead-on impressions of Jeff Goldblum and Christopher Walken. Of course, I have no idea who those people are, so most famous to me are his impressions of the crocodile hunter, a T.V. evangelist, and his singing voice. 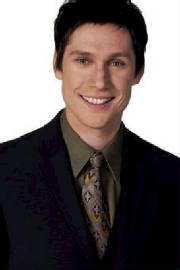 Jeff came on the show during season 5 in the year 1998, and has performed in quite a few episodes. Says colleague Ryan Stiles, "The first night Jeff was onstage with us we knew he should be in the group. He just added something no one else had. He has a lot of fun onstage ... and he's a fun guy to hang out with. He's really smart. He just fits in like a piece of the puzzle." In 2000, Jeff starred on a few T.V. shows. These were The Jamie Kennedy Experiment, The Norm Show, and the Drew Carey Show. The audience found him hilarious, even though he was just a guest star, and so did Steve Martin, T.V. show producer for NBC. In 2001, Steve cast Jeff on a show called The Downer Channel. The Downer Channel was a show that took sketch comedy and combined it with all the hassles and little things that bug us every day. In 2002, Jeff and the others from Whose Line performed at ABCFamily's Primetime Preview Weekend. Jeff also performed at the SAS Workshop with the improv troupe Houseful of Honkeys. Jeff also starred on the T.V. game show Pyramid in 2002. Jeff has done quite a few things online. In 2002, a 14 minute movie, starring him, entitled Robot! was released onto the movie's website. It's a small screen movie, like the something the Little Rascals would have made, yet it's pretty good. In 2003, Jeff was cast into a WB show called On The Spot, which was a sketch comedy/partly improvised show. The show was called On The Spot because whenever a bell rang, the actor who last spoke had to improvise another line right then and there, hence the name On The Spot. The show ended pretty soon and Jeff was cast on another show, this time for NBC, called Happy Family. The show was called this because when the kids were going to start moving out of their parent's house, it turned out that they were completely messed up and needed their parents more than ever. Jeff starred on Greg Proops' show, called Rendez-Vou, in 2003 also. From 2003 - 2004 Jeff Davis starred in many short shows, usually only about 8 minutes long. These shows can be found at channel101.com. In 2004 Jeff starred in the independent film Trespassing: Evil Remains. It's a small-time film. Jeff starred inanother small-time film in 2005, called the Boys and Girls Guide to Getting Down. The Guide is getting some notice, and may or may not hit the big screen. Back in 2004, Drew Carey called together everybody from Whose Line (Ryan Stiles, Colin Mochrie, Brad Sherwood, Chip Esten, Greg Proops, and Jeff Davis) minus Wayne Brady and a few extra people (Julie Larson, Sean Masterson, and Johnathan Mangum) to star on a show called Drew Carey's Green Screen Show, a show a lot like Whose Line but performed in front of a green screen. After taping the show, animators used computers and the green screen effect to add illustrations to the scenes the improvers were doing. The green screen also allowed the performers to interact with the animations, like if one of them mentions they're in a bar, the background will be a bar and a drink will be animated into their hands. The show had a good run, and after the show ended Drew Carey hit on a great idea. If people wouldn't flip the channel to get the improv themselves, why not bring improv and all the hilarity that comes with it to them? And thus, Drew Carey's Improv All Stars were born. Their first performance was to a sold out crowd at the MGM Grand in Las Vegas. The show was 90-minutes long, and had the audience splitting their sides with laughter. They did another 90-minute show right after that, and then they went on a national tour. They hit everywhere in the United States. Getting back to Jeff Davis, Drew Carey packed up the Improv All Stars in about the middle of the tour and took them overseas. You see, Drew Carey used to be a Marine. So he took his act overseas to the troops and performed for them, free of charge. There were three USO (United States Overseas) tours, but Jeff was only part of two. Nowadays, Jeff resides somewhere in L.A. (all my resources keep conflicting). But, he performs often at the Hollywood Improv Theatre with all his favorite colleagues. I didn't mention this before, but Ryan Stiles and Colin Mochrie, being extremely talented improvers, are hard to impress. But Jeff impressed them both, plus Drew Carey, the first time he performed with them! Now that's saying something. Jeff Davis, now 34, is a little known but widely used actor/improviser. He's extremely talented, both at acting and improvising. Not to mention improvising while singing is extremely hard. You try singing a Hoedown or an Irish Drinking Song or rap about an avalanche. Next time Jeff Davis appears on Whose Line on ABCFamily, (you can check the schedule on abcfamily.com) you watch it and see for yourself just how talented he really is. The Improv All Stars tour is still going on. www.gregproops.com has a schedule of both Greg's appearances and the Improv All Star's. Last time I checked, www.improvallstars.com hasn't updated from their 2005 schedule.